Hamper Hoops Reviews: Does it Help Keep Rooms Clean? • Not good for "slam dunking"
Hamper Hoops by Wham-o is a basketball hoop and hamper which attaches to any door. It provides kids a fun way to keep their dirty clothes off of the floor. We feel the product works generally as advertised and will be enjoyed by consumers who purchase it. Initial back-order problems plague some early reviews, but the product is still priced slightly higher than the competition. You can find it in stores, which is more convenient than ordering online. Hamper Hoops is a basketball backboard and hoop attached to a hamper, providing a fun way for kids to keep their rooms clean. When we first evaluated Hamper Hoops in June 2015, it was only available for purchase online for $19.99 plus $7.99 shipping, for a total cost of $27.98. That price is still in effect as of January 2016, but it can now be found in stores for about $20. The product was first seen online in late 2014, leading to immediate back-order status to the displeasure of some consumers who were the first to order. Hamper Hoops began advertising in earnest in mid-2015, so it seems that those initial back-order concerns have been alleviated. Keep in mind that overall star ratings may be affected by some of those early reviewers who were displeased with the back order status of the product. Our review here was published after that occurred, and thus should not be affected by those early complaints. The idea of children keeping their dirty clothes off the floor via a fun activity such as Hamper Hoops seems to be a no-brainer to some parents. And, while Hamper Hoops does offer a sound solution to this problem, it is not the first product to make the laundry-basketball connection. Hamper backboards have been marketed for years to bored college students or kids. 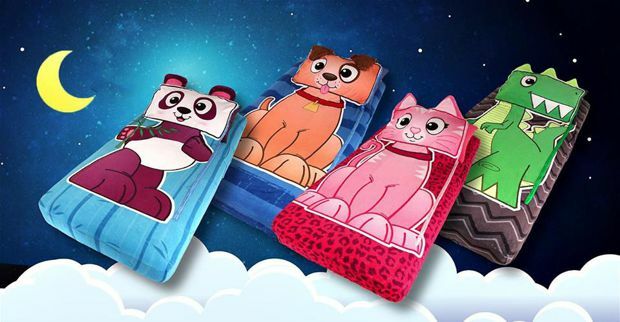 That said, Idea Village and Wham-o have teamed up to deliver a product that parents will find to be a welcomed addition to theirs kids’ rooms. Perhaps the biggest concern by consumers is whether or not Hamper Hoops is durable enough to hold a basket full of clothes. Our product researchers feel that Hamper Hoops should be durable enough to hold up a full bag of dirty clothes. It is not, however, ideal for slam dunking, which could damage the product. Some readers have said that the zipper was the weakest link in the design, with some stating that it had to be replaced with only normal wear and tear. The ball included with Hamper Hoops is not a regulation-sized basketball, nor would the use of a full-sized ball work. The advertising also features a light-up sign, which was added for effect and is not part of the actual product. The initial reviews for Hamper Hoops were negative, not because of any flaw with the product itself, but because of slow shipping due to back-order status. This is an unfortunate – and common – occurrence with new products rushed to television advertising. In mid-2015, Hamper Hoops began a marketing campaign that lasted into 2016, and the product also started to appear on store shelves during the holiday season. The current Amazon rating for Hamper Hoops as of January 2016 is 4.1 stars. 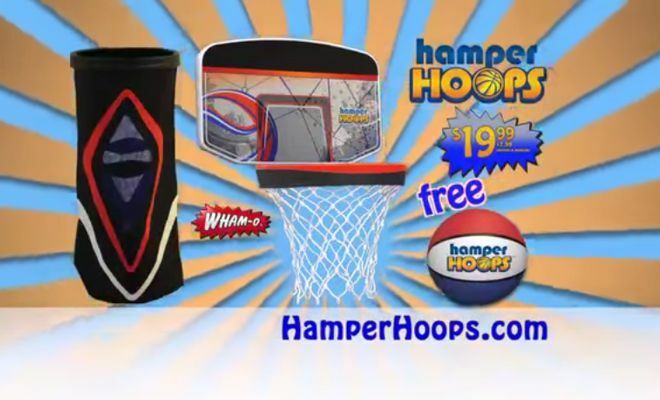 Trademark registration for Hamper Hoops was filed in October 2014 by Idea Village and the product was seen in advertisements only a few months later. There are other basketball hoop hampers available. Many of those designs include a hamper which sits on the floor with an attached backboard. The Personalized Basketball Laundry Shoot is perhaps the most similar, and appears to be highly-rated among several websites which sell it. That product is also about $10 less expensive, although it doesn’t include an extra ball. If you’ve used Hamper Hoops, please give it a star rating and comment below. This review has been updated since its original publication in June 2015. Zipit Bedding Review: Does it Work? 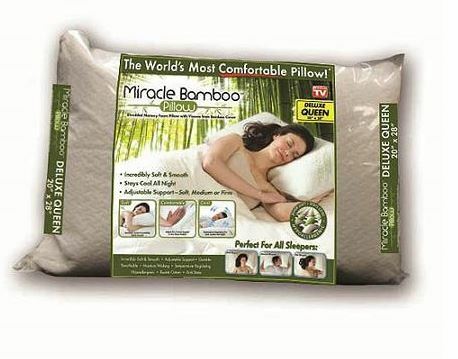 Miracle Bamboo Pillow Reviews: How Does it Hold Up? ZippySack Reviews: Do Kids Love It?